Chanel No. 5 is an ultimate luxurious feminine fragrance that has been marked a huge success since 1921 and is considered to be classic timeless fragrance perfect for the boss lady. The fragrance consists of top notes of bergamot, aldehydes, lemon and ylang-ylang which further blends into the floral notes of jasmine, lily of the valley and iris with dry down having sandalwood, vetiver, amber, vanilla and patchouli notes ending it a woody and powdery touch which gives it a sort of vintage feel. You can feel the fragrance changes and revealing different flavors throughout the day, so it never feels dull ;it always feel different and amazing. The Chanel No. 5 10ml roll-on bottle is perfect for the dressing table or travel. Chanel No. 5 fragrance is now and forever fragrance. 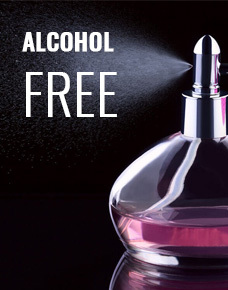 Get this ultimate feminine fragrance by Insiyah Atoor which is non-alcoholic . Best selling women fragrance is USA.